CD-ROM includes PDF text only of Christian History & Biography Magazine Issues 1 through 128. 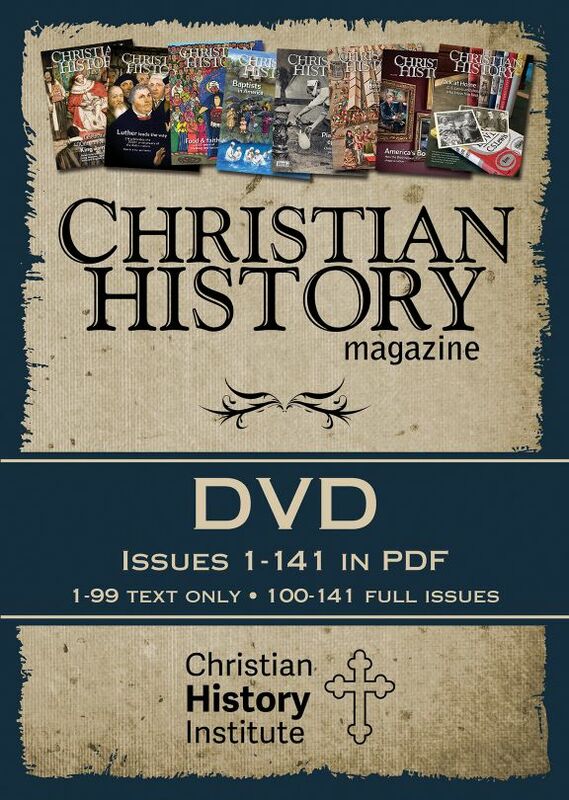 Have you ever wished you could have every copy of Christian History Magazine? Well now you can. 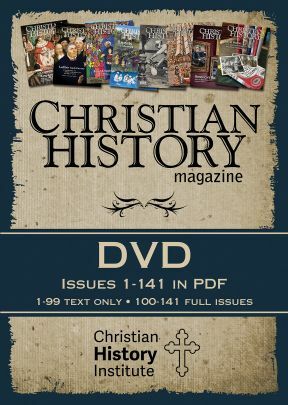 The Christian History Magazine Archive has the text of 128 editions of Christian History. This is the only way to obtain the material of several out of print editions. Containing the first 128 issues of Christian History magazine, the Christian History Magazine Archive is the perfect gift for the Christian history enthusiasts on your list. 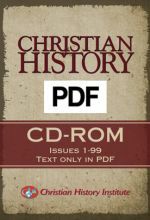 Text of the first 99 issues of Christian History are available in a searchable PDF file as well as the full text with images of issues 100-128. This easily accessible CD-ROM works with MAC or Windows computers and is the best way to obtain the rich material of our out-of-print editions. PDF includes text only of Christian History & Biography Magazine Issues 1 through 99.